After months of driver’s ed and months of driving around with a licensed driver, you finally feel ready to take your driving test! So that means spending hours in line at the DMV, and then being told to wait in another line for someone to administer the test. 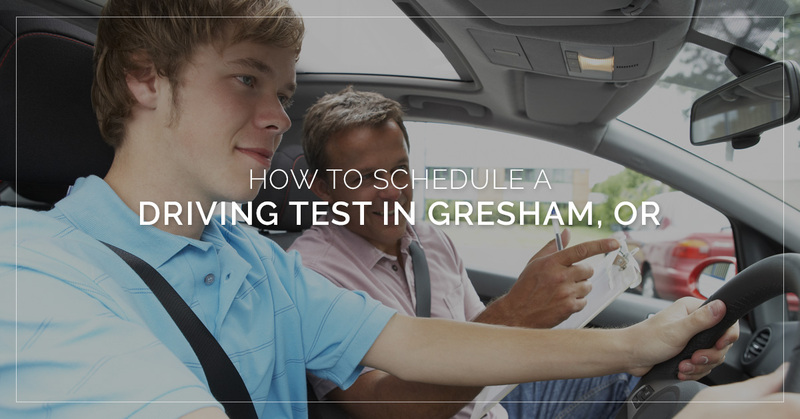 However, scheduling your driving test in Gresham is now easier than ever. The Oregon Driver and Motor Vehicle Services Division lets you schedule your driving test online, so you can spend less time waiting in line and more time driving! If you’re still not confident about being able to pass your driving test, get in touch with the team at Pacific Driver Education, we’ll teach you the basics of driving and the big and small details that you need to know for your test. Standard (Class C) license: This could mean Class C Commercial, which needs to be obtained to drive vehicles with 16 or more passengers. Or, it could be a Class C Driver’s License and driver card, which needs to be obtained to operate any standard vehicle. Commercial Driver License (CDL): This license is needed in order to drive tractor trailers, semi-trucks, dump trucks, and passenger busses. Motorcycle License: You first need to have an Oregon driver’s license to take a motorcycle driving test. When you take driver’s ed classes with Pacific Driver Education, we make it easy to schedule your driving test when you’re ready, even if you don’t have a car of your own. If you need to take the test using one of our cars, please check that one is available prior to scheduling. There is also an additional $25 fee. At the Gresham, Oregon driving test location, tests are only administered by appointment. To schedule a test, simply call the location. When you arrive for the appointment, show them a valid insurance card. You do not need to be listed on the insurance or registration in order to complete the test. A car in working condition with headlights, tail lights, turn signals, brake lights, seat belts, and functioning passenger side door. Before the test is administered, you will need to pass a knowledge test and vision screening. Consider doing some studying for the knowledge test portion, as it covers questions regarding the rules of the road, road signs, and more. If you fail, you will be given information on how to better prepare for the next test. If you pass, you will receive a sealed envelope with your test results, and you will have your photo taken for your driver’s license. And you can drive home! We hope that all of our students pass their driving test on the first try. But sometimes, it can take multiple trips to the DMV to pass and get your driver’s license. In this case, Pacific Driver Education will be there for you to ensure you get the proper training and confidence building for your next test. Driving a vehicle can sometimes be intimidating, and it’s sometimes a challenge to drive on roads with other vehicles, drivers, and distractions. But we are confident, with driver’s ed classes, that you will eventually feel confident behind the wheel! 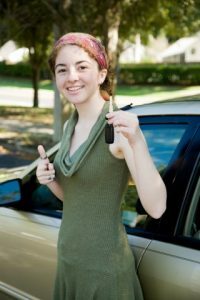 Call us today to learn more about driver’s education classes and to schedule your driving test!